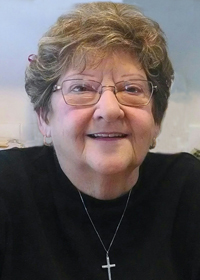 Darlene Sue Reynolds, age 79, of West Des Moines, Iowa joined her husband, James Reynolds at the gates of Heaven on October 31, 2018. She was born December 22, 1938 in Des Moines, Iowa to Forest and Mary Van Loon. She was a lifelong resident of Des Moines and graduated from East High School in 1957. Darlene spent her whole life helping her family and friends and worked for Meredith Corporation for many years. Darlene met her husband, Jim in 1959 on a blind date. They married in 1961 and started their lifelong journey together. They had two children, Diane Sue (Todd) Roorda and Randall James Reynolds (Bonnie Richards) and four grandchildren, Adam and Aaron (Kylie) Roorda and James (Abbyann) and Nicholas (Melanie) Reynolds. They also had one great-grandchild, Penelope Jean Reynolds, with another on the way, Mason James Roorda. Darlene is also survived by her brothers, Forest (Judy) Van Loon and William (Becky) Van Loon. On November 3, 2006, Darlene received a single lung transplant at the University of Minnesota allowing her to have another 12 years to spend with her family and friends. She was able to help raise her two youngest grandsons and watch three grandsons find love and marry. A celebration of Darlene’s life will be held Monday, November 5, 2018, at 1:00 p.m. at Hamilton’s Funeral Home, 605 Lyon Street. There will be a visitation period Sunday, November 4th from 2:00 to 5:00 p.m. also at the funeral home. 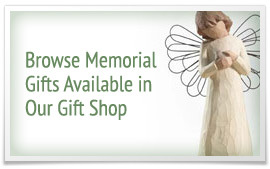 In lieu of flowers, memorials may be directed in memory of Darlene Reynolds to: Hope Chest News, P.O. Box 13040, Minneapolis, MN 55414.